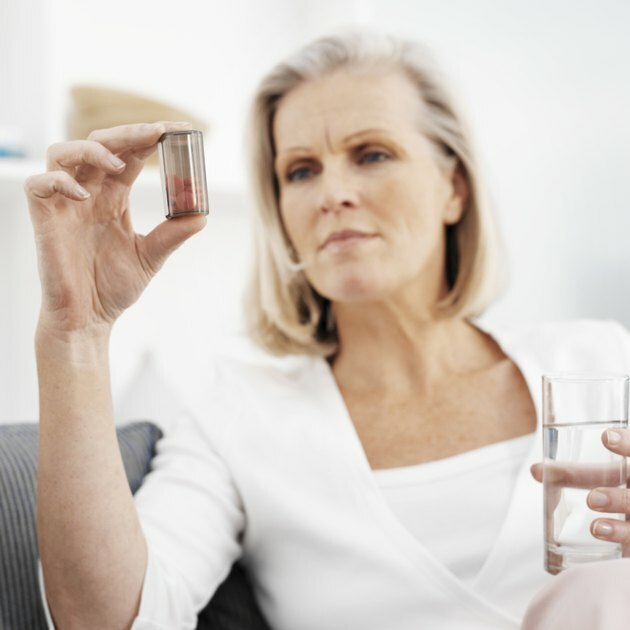 How Much Calcium Should a 50 Year Old Woman Take? Calcium is an essential mineral that plays significant roles in the development and maintenance of many areas of the body. After the age of 50, women's risk for osteoporosis increases along with their need for calcium. Osteoporosis occurs as a result of low bone density and deterioration of bone mass. If left untreated, it can lead to fatal bone fractures. Consult with a registered dietitian for a nutritional guidelines specialized for your condition. Calcium is an abundant mineral in the body with many vital functions, but to primarily support the structure and function of bones and teeth. Calcium is also responsible for normal muscle contraction and hormone secretion. In older adults, particularly postmenopausal women, bone loss increases and leads to a increased risk for osteoporosis. Getting the recommended amount of calcium daily can support healthy bones and cut your risk for developing osteoporosis, according to the Centers for Disease Control and Prevention. A 50-year-old woman requires a minimum of 1,000 mg or mg of calcium daily, notes the CDC. After the age of 50, however, women calcium requirements jump to at least 1,200 mg per day. The Linus Pauling Institute also recommends an additional 10 micrograms or 400 IU of vitamin D daily to promote calcium absorption and minimize bone loss in older women. Daily calcium requirements should be obtained from both dietary sources and supplements. Calcium is naturally found in a variety of foods, and is added to certain fortified food products. Calcium is also available as a dietary supplement in liquid, powder and tablet formulas. The majority of calcium should be obtained from natural food sources. However, dietary supplements may be recommended by your doctor if you have trouble getting your required amount from your diet. Natural food sources of calcium include dairy products like milk, yogurt, cheese, cottage cheese and cream. An 8 oz. glass of milk provides 300 milligrams of calcium. Dark green leafy vegetables also naturally provide significant sources of calcium. Some examples of these include broccoli, kale, Bok choy, spinach and cabbage. A half cup of cooked kale provides 61 milligrams of calcium. Foods that are fortified with calcium include ready-to-eat cereals, breads, juices, soy and tofu products. Your recommended amount of calcium may vary based on your condition or lifestyle. Therefore, consult a registered dietitian for your exact calcium and other nutrient requirements. In addition to proper diet, regular physical activity can also support bone density and prevent loss. Physical activity includes walking, jogging, swimming, recreational sports, dancing and weight-lifting. The CDC recommends people perform at least 30 minutes of moderate-intensity activity or exercise every day of the week to support healthy bones. What Are the Benefits of Calcium Supplements in Fracture Healing? Should I Take Calcium & Vitamin D Pills While Breastfeeding?